Malta is positioning itself as a leading European hub for innovation and openness to technology. Its reputation stems from a number of business-friendly regulations put in place to attract investment and spur economic activity in the Mediterranean island. Malta was once a British colony — gaining independence in 1964. The island nowadays leverages its language and cultural heritage to support business and trade — alongside a prominent set of regulations which bring value to the national economic activity. “Innovation is the key for future economies. Additionally, for a long time, crafts and trade were sidelined but innovation plays a role here too to revitalise them. The global economy is becoming more innovative and it is the responsibility of our country to be at the forefront of that innovation,” MEP Miriam Dalli recently said, outlining the country’s commitment to taking its ‘economy to the next level’. Clear evidence of this prosperity is Malta topping the European Commission economic growth list for 2019 and 2020, after the Maltese economy presented growth of 6.6 per cent last year. The innovative mindset is reflected in diverse sectors, from personal healthcare to financial technology. Malta has been the European gateway for many policies, including the legalisation of cannabis and embracing crypto and gaming projects. In March 2018, Malta officially legalised medical cannabis. A month later, with the Production of Cannabis for Medicinal and Research Purposes Act in place, Maltese entities were able to cultivate, import, process and produce cannabis intended for medical and research purposes under a controlled and supervised environment. These policies led to the Malta Medicines Authority gaining international reputation and prestige for its patient-centric work in the regulation of medicines. The strategy seems to be working so far: according to statistics from Eurostat, a 75% share of the population in Malta perceived their health as good or very good. Last November, Malta hosted the Medical Cannabis World Forum, which brought together the policymakers, business leaders and healthcare practitioners who are shaping the global cannabis industry today. “One would think that a small country like Malta would follow suit; instead, Malta is a dynamic … leader. The legislative measures enacted with respect to medicinal cannabis are not some transposition of provisions implemented everywhere else. Many in the field are cognisant that Malta has floodlit an area which may still be quite hazy elsewhere,” said Parliamentary Secretary Dr Deo Debattista at the Forum last year. Following recent advancements made in the legislation for Gaming operaters in Malta, the island has received over 20 applications from new companies looking to direct business in Malta. Parliamentary Secretary Silvio Schembri, who announced the surge of applications to the Malta Gaming Authority (MGA) at the ICE London 2019 edition, the leading global gaming conference, identified the island as the ‘home of gaming excellence’. This was clear at the event itself, as Malta had the highest number of stands at ICE London , with 11% of exhibitors being Malta-based operators. Prompted by the uncertainty around the post- Brexit scenario in the UK, Malta has seen an influx of businesses moving part of their activities to the island, such as big UK-based gaming and betting companies — 888 Holdings and Ladbrokes’ parent company — announcing it would be moving some of its operations to Malta because of looser regulations and lower tax rates. high-profile exchanges like Binance, Bittrex, Okex, Bitbay, and Zebpay, have moved or extended operations from stricter regulatory jurisdictions to incorporate their businesses in crypto-friendly Malta. The Malta AI and Blockchain Conference Spring Edition is approaching, giving stage to over 300 exhibitors and welcoming over more than 5,000 guests. Among the list of speakers, there is prime minister of malta Joseph Muscat and parliamentary secretary for financial services Silvio Schembri. Last November, three innovative bills were launched during the event. In this 2019 edition, the Maltese Government will enact a world first: a fourth bill, giving a D.A.O. its own legal personality. In addition, a task force is also working around the clock on a set of incentives that will support businesses in Artificial Intelligence. 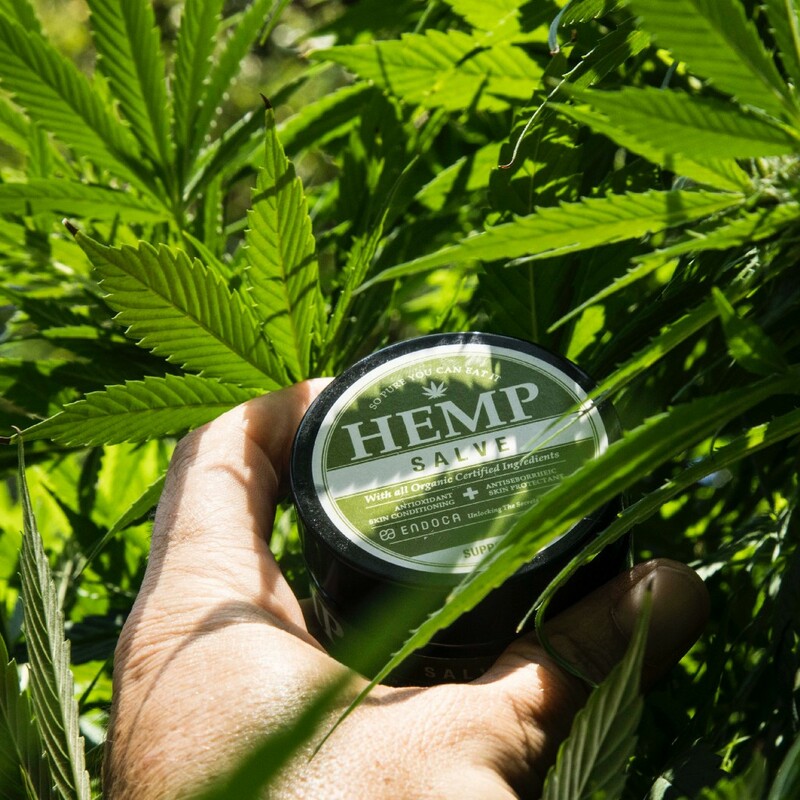 As more countries become more open-minded in adopting the use of cannabis for multiple applications, particularly medical treatment, markets in North America and Europe are witnessing an unprecedented inflow of companies and projects working with hemp products. Cannabis-derived plants can offer a multitude of uses. Hemp, a ‘softer’ plant of the cannabis species, is a very useful crop that can be turned into everything from clothes to shoes, paper, animal feed and building insulation. But the current cannabis market craze is largely focused on the area of medical and healthcare products. Cannabis-related products are used for preventing Alzheimer’s, decreasing anxiety symptoms, treating effects of autism and epilepsy, relieving arthritis, reducing nausea and even helping prevent cancer. According to data compiled by Mordor Intelligence, the global cannabis market was valued at USD 7.7 Billion in 2016 and is expected to reach USD 65 Billion by 2023. Sales of hemp products in the US reached $1bn (£760m) in 2018, according to New Frontier Data, with the US having legalised the cultivation of hemp across the US just before Christmas ̶ welcome news for farmers. Furthermore, the data from New Frontier shows forecasts for US sales of hemp products reaching $2.6bn by 2022. At the same time, it predicts global hemp industry sales to jump to $5.7bn by 2020 — from $3.7bn in 2018. The hype is indeed real, so much so that a university in the US is now offering a degree in Marijuana studies, within its Chemistry school. The flagship of cannabis market prosperity is Canada. The country legalised recreational cannabis use in October last year and since, the market has witnessed impressive growth and companies moving towards the sector. Just a couple weeks ago, the FT reported that the Horizons Marijuana Life Sciences Index fund has grown to $1.3bn in assets, making the world’s first cannabis exchange traded fund set to become the second most profitable ETF in Canada, after returning more than 50 per cent so far this year. Canada is also home to the leader in the global cannabis industry, Canopy Growth Corp., with a market value north of $16 billion. Carol Pepper, advisor at Pepper International, told CNBC that legalisation of pot in Canada had “blown through expectations”. The numbers impressed investors and bankers around the world, which seem to inspire a European wave of openness towards cannabis projects. In light of the massive growth in Canada, markets in Europe and the UK are welcoming the inflow of so-called “pot stocks”. According to Bloomberg, cannabis medical companies have shown significant interest in listing in European markets, including the UK. In the region, the medicinal cannabis market in 2028 will be valued at Euro 55 billion, with the recreational cannabis market worth 60 billion Euros across both primary and secondary services to the cannabis industry, assuming that all European countries have passed legislation by 2023. In November 2018, the UK government gave the go-ahead for specialist doctors to start prescribing cannabis-based medicines. This led to the opening of the UK’s first cannabis clinic in the Greater Manchester area earlier in March, offering treatments for patients suffering from chronic pain and other serious neurological or psychiatric conditions. If cannabis stocks are ̶ for the moment ̶ a niche market, loosening in regulation in the UK has been seen as positive for the markets and offers the chance for pot stocks to go mainstream. At the moment, the biggest marijuana company is London’s Sativa Investments Plc at about 26.8 million pounds ($33.6 million) on the NEX Exchange, but this scenario is set to change throughout 2019. It has recently been reported that Jacana, which grows medical-use cannabis in Jamaica, is considering a stock market float on AIM later this year. The company raised $20m (£15.08m) in private investment in 2018. Other companies showing plans to list are European Cannabis Holdings, responsible for helping in the arrival of the first legal shipment of marijuana in Britain earlier this year, and Emmac Life Sciences. Nick Davis, chief executive of law firm Memery Crystal, which is advising cannabis companies to enter the London market, said to This is Money that there are many companies targeting both the main market and the AIM. ‘I think this will be the year that there are a significant number of listings — though it’s predicated on no change to regulation here. ‘I’d be surprised if there weren’t a dozen companies across AIM and the main market by the year-end,’ he commented. Bloomberg also hints at other European companies that are signalling to make an early move into the cannabis scene: Paris-based Gour Medical AG, which plans to produce medical cannabis products for animals; StenoCare A/S from Denmark and Dermapharm Holding SE from Germany both focusing on medical and pharmaceutical cannabis applications.